With Black Friday just a week away, Amazon has launched its Countdown to Black Friday sale, offering discounts on laptops, smartphones, fitness trackers and audio products. Starting today and running until Sunday 25 November, Amazon’s mammoth sale covers thousands of tech and home products. Keep scrolling for a look at some tech deals that have caught our eye, along with links to Which?-tested products. Which? 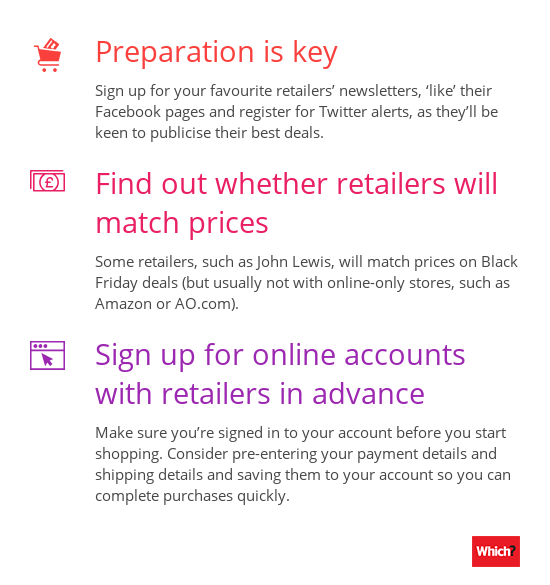 Black Friday guides – top shopping tips. For a limited time, Amazon is knocking ‘up to 30%’ off smartphones from Huawei, Motorola, OnePlus and Sony. Chinese mobile maker Xiaomi, which recently announced its arrival in the UK, is also included. 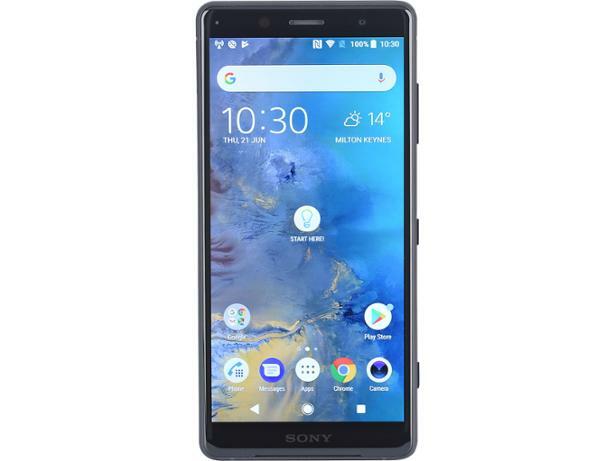 If you’re shopping for a new smartphone that’s easy to use in one hand, this Sony mobile could be a good fit. Behind the XZ2 Compact’s 5-inch screen sits a super-powerful Snapdragon 845 octa-core processor that’s backed by 4GB of Ram and 64GB of storage. A single 19Mp camera is found on the back of the phone, and it can capture some nice crisp details in daylight. See how this Android smartphone fared in our battery life tests by checking our full Sony Xperia XZ2 Compact review. We hunt for the biggest discounts on smartphones each month – browse our best Sim-free mobile phone deals for more. Whether you’re shopping for a budget-priced laptop to manage basic tasks such as web browsing, or a high-end alternative that can tackle picture editing, our expert reviews can help you pick the perfect option. We’ve rounded up some laptops below that are included in Amazon’s sale. 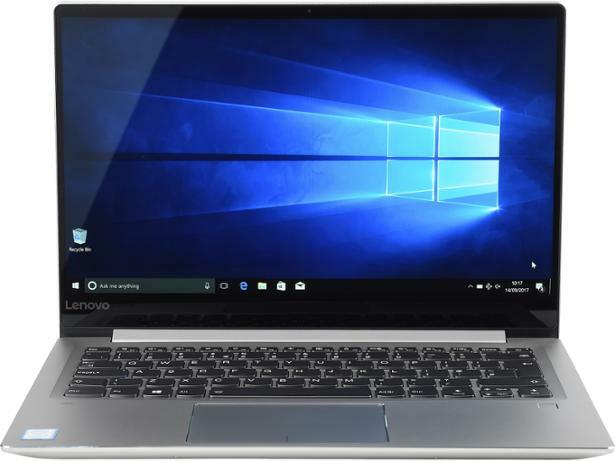 Making up part of Lenovo’s Ideapad family, this mid-priced laptop is capable and won’t break the bank. There are various configurations, but the Windows 10 machine included in Amazon’s sale comes with an Intel Core i5 processor, 8GB of Ram and 256GB of storage. Did this now-discounted laptop score well enough in our lab tests to be a Best Buy? Our Lenovo IdeaPad 520S-14IKBR review has the answer. If you’re looking to create a laptop shortlist, start right here. Use our full range of laptop reviews to uncover the best models from brands including Apple, Dell and HP. While some wireless speakers are designed to sit proudly in your living room, portable options are small enough to chuck into your bag if you’re travelling. This robust Bluetooth speaker from B&O can withstand bumps and scrapes. It weighs just 600g, and from our own audio tests we quickly discovered it offers surprisingly loud bass. By downloading the free BeoPlay app for your smartphone, you can manually adjust the tone of the speaker and play around with audio presets to suit your favourite genres. 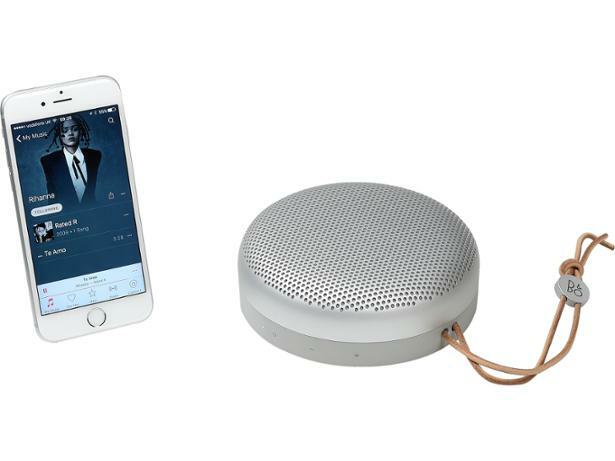 See how this speaker scores by checking our B&O BeoPlay A1 review. Our independent tests reveal the best portable Bluetooth speakers and multi-room wi-fi speakers. See our wireless & Bluetooth speaker reviews page. If you’re shopping for a sat nav to help you avoid traffic jams over Christmas, these discounted TomTom sat navs may catch your eye. 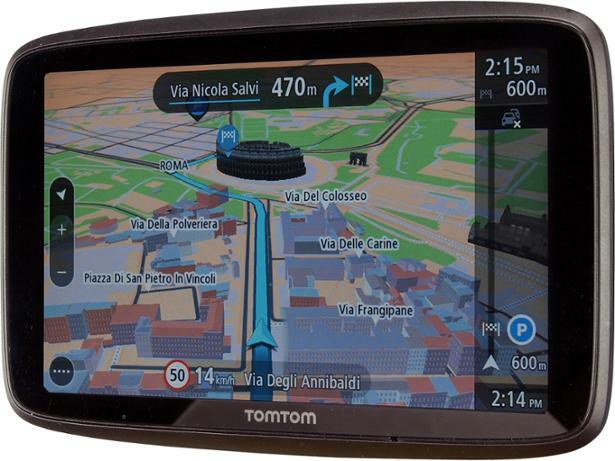 This TomTom sat nav has a 6-inch screen and comes bundled with free worldwide map updates. You can make or receive phone calls through the TomTom GO 620, and it will display texts from your smartphone so you can keep your eyes focused ahead. We ran this sat nav through our rigorous testing program to see how speedy it is at giving instructions on windy roads. See our TomTom GO 620 review for more. Looking for a sat nav or sat nav app with clear instructions to get you from A to B? Read our sat nav reviews. You could save a tidy sum on Android tablets included in the Countdown to Black Friday sale, but consult our tablet reviews before you take the plunge. The S2 has a 9.7-inch screen, so you’ll have plenty of room to run multiple apps at once, annotate presentation slides and explore your image gallery. You’ll also find a fingerprint sensor sat underneath the display. This Android tablet weighs a mere 385 grams, so carrying it around on the morning commute shouldn’t be much of a problem at all. 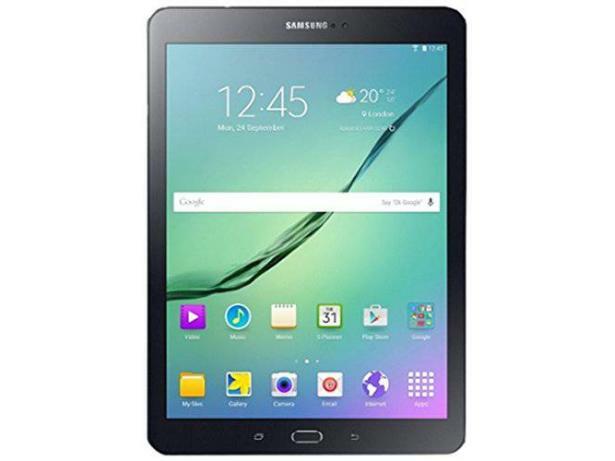 Uncover the headline features of this tablet with our Samsung Galaxy Tab S2 9.7 review. Make the right choice with our in-depth guides and recommendations. See our tablet reviews page for the latest results. 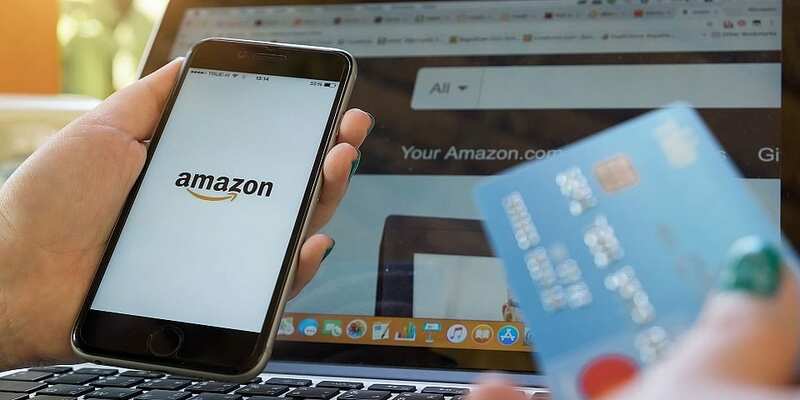 Amazon will be running various ‘Deals of the Day’, where key savings will be highlighted on the front page of the website. Amazon’s ‘Lightning deals’ are also making a return. These are time-sensitive deals that offer products in limited supply. Deals become available as often as every five minutes. Amazon has confirmed that existing Prime members (and those on a 30-day Prime trial) will have ‘an exclusive 30-minute early access period to all lightning deals’. Shopping during Black Friday can be overwhelming, with retailers across the UK promising the best deals as part of their own timed ‘flash’ sales. For even more handy Black Friday tips, head over to our advice guide on the top 15 shopping tips for Black Friday deals.